Owing to their natural condition and isolation, islands generally enable unique species to develop or specific plants to grow, as the surrounding sea creates a barrier to the world. In the case of Hong Kong, this concept developed beyond the creation of a unique natural biodiversity to the creation of the most pure and successful capitalistic environments on the planet, an ever-changing, amorphous place where nothing is meant to last forever and yet everything is possible. Hong Kong is a fascinating territory comprising a portion of the mainland (Kowloon and New territories) located at the southern tip of China with a natural harbour with the main island, “Hong Kong Island”, and 262 outlying islands, forming an archipelago that represents a land area of 1,104 km2. At least 75% of the territory has an uneven topography and is occupied by country parks and lush nature, leaving the concrete city very little ground to spread along the flatter shores. From a few scattered fishing villages in a remote territory in the South China Sea, Hong Kong was established by the British for the opium trade back in 1841, and later developed into a flourishing export market of “made in Hong Kong” goods. Today Hong Kong is one of the world’s biggest trade harbours, and is one of the most densely populated places in the world, with an average density of 6,600 persons per square kilometre but which ranges up to 57,250 persons per square kilometre in the densest areas of town. The city’s commercial spirit-supported by its receptive population of about 7.3 million people, of majority Chinese immigrants that fled the communist regime-has been receptive for what is one of Hong Kong’s cultural core values: the pursuit of money and profit, the one and only driving force for all mutations and developments that happen in this Petri dish(1) called Hong Kong. Therefore, one often feels that the whole city is an experiment, with its population being the guinea pigs scuttling around its pavements and shopping malls. Hong Kong being a series of islands, and physically detached, yet its strategic location in the South China Sea, has of course widely enabled this phenomenon to happen. The economic pressure, soaring land prices, but also the city’s massive economic growth, became a perfect testing ground for businesses, trends and speculation. Hong Kong became an economic playground for corporations and developers both fighting for prime locations for their buildings, always under the motivation that property needs to bring more profit. In such a limited space buildings get erased and re-built, cultural memories are erased and replaced by new, more efficient and profitable buildings, creating this inner inertia of Hong Kong; a city that reinvents itself every year and where nothing is meant to last. Hong Kong’s colonial past, together with its geographic location and condition as an archipelago, became the breeding ground for its infrastructural character, its specific architectural form, and its capitalist spirit. For most people however, Hong Kong is known exclusively as this global financial and economic centre, a world city, and its geography as an archipelago located in the South China Sea is mostly unknown. Driven by its trade history and its economic will power, the city has always maintained a strong but changing relationship with the sea, which has strongly influenced the city’s urban planning and architecture, as well as its highly refined transport systems. Speed and efficiency are the magic keywords that have become Hong Kong’s credo. Subway, buses, mini-buses and an extensive taxi network run day and night to ensure that the pace of the city never comes to stop, while the ferry companies, the myriad tunnels criss-crossing underneath the harbour and bridges keep the mainland and the various islands connected, and transform the Hong Kong archipelago into one enormous patchwork metropolis. Over time, Hong Kong’s remote and mostly unsettled outlying islands have become connected to the city, and some now play the role of the city’s periphery and suburbs. Lantau Island, for example, has become home to Hong Kong’s airport, through which 70 million people a year pass, and its nearest village, Tung Chung, has been developed into one of Hong Kong’s big new towns, housing around 80,000 people. But Hong Kong’s willpower to overcome the isolation of its own territory from the world goes even further. Started in 2009, Hong Kong has engaged into the construction of a 50km-longbridge, with a longest span of 29.6 km, which will connect Hong Kong with Zhuhai (China) and Macao. Within Central, Hong Kong’s business district, a massive network of elevated walkways and flyovers, owned by public and private stakeholders, helps to keep the business running and the cash flowing by offering the pedestrian an efficient and timesaving circulation and strategically connecting private office lobbies, shopping malls, subway stations and public parks. Seen from a user perspective, the urban space is transformed into a sequence of microclimates, temperatures and a variety of smells, and constitutes a new form of spatial hierarchy. Through entertaining this constant and intense aim of connection to the world and the city’s history of trade, immigrants and expats, Hong Kong has become a space of transit rather than a final destination, where people consider themselves to be merely passing through, even if the reality is that many might stay forever. This transient mindset shapes a feeling of “nothing is forever” that is deeply anchored in the city’s spirit. Life becomes all about moving, work, connecting and exchanging before moving on, and the sentimental attachment to the physical space and place somehow become less relevant. Thus, for many, their home is less important as a place for their well-being, than a sparse rented necessity, or on the other hand, a mere financial investment. There is another characteristic of island culture that Hong Kong represents at its best, albeit in its own adapted and extreme way: a culture of import. When established by the British, Hong Kong was an archipelago only sparsely occupied by a few settlements. It had no established culture or identity, which made it a perfect fertile ground for importing and appropriating foreign cultures and values. As a result, and even though Hong Kong’s population is predominantly ethnic Chinese, over 91%, it has given birth to Hong Kong’s unique identity, born simultaneously from both Chinese and Western culture, and has resulted in what Ackbar Abbas puts so aptly: “The Hong Kong person is now a bird of a different feather, perhaps a kind of Maltese Falcon.” Hong Kong Chinese, despite reunification with China in 1997, feel very different and refer to Mainland Chinese as locusts, a very different species indeed. The island’s culture of import has grown beyond its original cultural influences, and has become an anchored mentality also influencing the city’s architecture. Over its history the city has adopted many architectural styles, ranging from its colonial buildings, which are still spread around the city, and coexist today next alongside office towers that are placeless, have no local memories, and could be found almost anywhere in the world. In-between, an enormous amount of anonymous residential buildings represent the typical Hong Kong residential blocks and towers. Since entering its post-colonial era the city’s developers have pushed the import mentality to another level and are building residential developments with names like “Bel-Air” or “The Beverley Hills” and trying to live up to their names, showing off an imported dream and a way of life far detached from the reality of a bustling city in Asia. Hong Kong is one of the best-conceived mega-cities in the world and perhaps one of the most sustainable. As mentioned above, the urban zone occupies just one-quarter of the land, pushing its density up to 56,200 people per square kilometre, but also making the apparent lack of space a perfect argument for the city’s high land value. As a result, buildings have become highly economical in their footprint, and the average floor area per capita in public rental housing was only as high as 13.1m2 in 2015(2) and can be as low as 4.4m2 in private and shared housing. (3) The development of Hong Kong’s hyper-dense typologies is no innovative invention, rather a pragmatic translation of the city’s economic pressure, high land prices, and the continuous obsession of profit. When the city was booming in the mid-20th century and the majority of the shop houses were built, their owners very quickly started to subdivide their lots and downsize their shop fronts to pay less tax, as this was calculated according to the width of their street-side façade. On these small plots and building footprints, Hong Kong’s first towers were extruded from the shop-house typology and became Hong Kong’s so-called pencil towers, setting the trend for today’s residential typologies. Another sign of human resistance to live in a Petri dish island is the Hong Kong population’s perfection of the art of extending their private space into the public domain. Within that mass of restricted land, of rules and constraints, people have nonetheless found their own way out and developed an incredible capacity for bypassing or overcoming their lack of space. The boundaries which originally appear to be so rigid become fully blurred and the highly economically driven city finds itself smoothened by these human islands popping up constantly and extensively all over the city. However, Hong Kong’s way of dealing with the ratio of urban and natural space establishes an extraordinary quality, providing the population with lush nature and quiet islands, which not only represents Hong Kong’s natural air filter but also is one of the city’s buffer spaces for recreation and calm. Even though Hong Kong works hard on connecting its islands to the city, each of them is able to maintain its separate identity and character and its own type of activities, ranging from the fishing industry, community living, high-end individual housing, to simply being an uninhabited island in the archipelago. What is probably saving their distinctness is that they seem to be ruled by their own time and speed, placing global and local architecture side by side all over the archipelago, going, in under an hour’s travel, from the oldest stilt houses on Lantau Island to Caesar Pelli’s IFC, one of the highest towers on Hong Kong island. It is this immediate and brutal juxtaposition of worlds and times that makes the beauty of Hong Kong and shows that within all these described characteristics and realities, each person can live their own story and at their own speed. You just need to open your eyes to find the beauty in this heterogeneous patchwork of islands, spaces, styles and atmospheres to define your very own personal island. 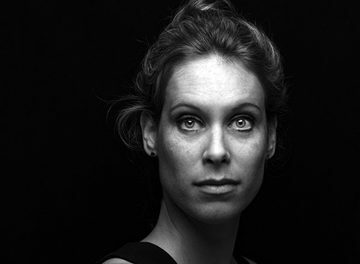 Caroline Wüthrich (Zürich, 1980) is a Swiss Architect and co-founder of Parallel Lab, a Hong Kong based architectural practice and urban research laboratory. She is Adjunct Assistant Professor in architectural design at The Chinese University of Hong Kong.Formerly, she taught design studios at the Hong Kong University and has collaborated with Architect Peter Maerkli and Lacroix Chessex Architects in Switzerland.Authored and co-edited books or publications include Hong Kong In-Between (Park Books and MCCM Creations, 2015) and The people from Duckling Hill (Poly U, 2015). Additionally, Caroline has taught numerous workshops on the topic of public space and its informal use in Seoul, Hanoi and for the Zürich University of the Arts at Connecting Space Hong Kong.